People are receiving letters that are addressed to them informing them that they have won millions in the 2019 Mega Lottery Picker. In order to claim the prize, the recipient is asked to travel to Madrid, Spain to claim the check, or to pay a "fee" for diplomatic delivery of the check. This letter is mailed from Lisbon, Portugal. The email address in the letter, safewaypayment01@yahoo.com, is an indicator of its non-official capacity. DO NOT REPLY TO THIS SCAM. This is a documented scam and has been reported to the Federal Trade Commission and the Mega Millions Lottery. To view a copy of the letter and other examples of letters and notices that are scams, click the button below. Check back often to be in the know. Unless you specifically entered a Colorado Lottery promotion, you will never be contacted by us. If you did not purchase a Lottery ticket or enter a 2nd-Chance drawing, you cannot win a prize. Listed below are some general guide lines to help you avoid becoming a victim of fraud. Never respond to any emails stating you have won a lottery that you haven’t entered. Lotteries do not ask for fees to collect winnings. Any request for a fee payment is a good indication that someone is trying to defraud you. Never, ever disclose your bank details or pay fees in advance or wire money overseas for a lottery. Never respond to an email address that is not from the official Colorado State Lottery website and be very suspicious of addresses such as @hotmail.com or @yahoo.com accounts. If they ask you to keep your win a secret it’s likely to be a fraud. Many fraudulent lotteries have bad spelling and grammar. Never purchase tickets from foreign lotteries by phone, mail or the Internet. The sale and trafficking in foreign lottery tickets is a violation of federal criminal law. If a large check appears from an unknown person, do not cash it. Obtain advice from your financial institution. Forward the suspicious e‐mail to the Federal Trade Commission's email address spam@uce.gov. See important information and videos about scams by visiting Consumer Federation of America. As a player you are entitled to certain rights and privileges when you buy or redeem a Lottery ticket. Review your purchase. Look over and count your tickets BEFORE you leave the Lottery terminal to make sure you've received exactly what you ordered. If you select your own numbers, check your tickets at the time of purchase to make sure the numbers on them match the numbers you selected. If needed, speak to the clerk or store manager to resolve any concerns BEFORE leaving the store. Retailers are not permitted to sell pre‐printed draw tickets. To verify such information, check your ticket's time and date stamp at the time of purchase. Sign your ticket. Sign the back of your ticket as soon as you purchase it to establish ownership. Check your ticket in a ticket checker. Before you present your ticket to be validated by a retailer, determine on your own whether your ticket is a winning one by using a ticket checker available at select retailers, the Lottery vending machine in select retailers or by using the Colorado Lottery's mobile app or by checking our website. Ticket validation. When a retailer validates your ticket, the terminal’s monitor will display the amount won on the screen and play an audible sound. If your ticket is a winning one, you may ask to keep the "payout" voucher to verify your prize. Once a ticket is cashed it becomes the property of the Colorado Lottery. To verify that your ticket is not a winner, ask to keep your non‐winning ticket. Security plays a critical role in ensuring the integrity of Lottery operations and staff. The public must have complete faith, trust and confidence in our games to ensure that everyone that plays has an equal and fair chance of winning. The Lottery’s goal is to establish a true partnership with employees, customers and regulatory agencies to ensure the highest level of integrity with our products and vendors. Colorado Lottery Security is comprised of sworn peace officers and non‐sworn support staff. Underage gaming enforcement, where investigators send a person obviously under the age of 18 into a store to purchase a Lottery game. Retailer compliance operations to confirm retailers are properly handling winning Lottery tickets and being honest with players. 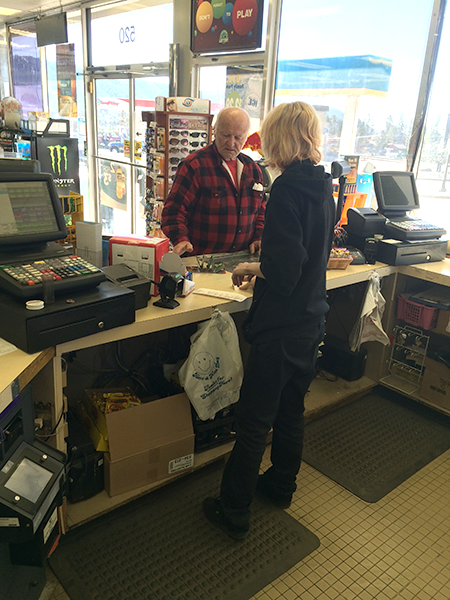 Compliance checks of retailers to help ensure that Lottery policies, practices and standards are maintained across Colorado. If you have security concerns regarding the sale of Lottery goods, please contact the Lottery’s Criminal Investigations Unit at 800.999.2959. To report a Lottery scam that you've received by email, forward the suspicious e‐mail to the Federal Trade Commission's email address spam@uce.gov.